Оkay, 2018 is officially the craziest year that the grappling community has ever had! 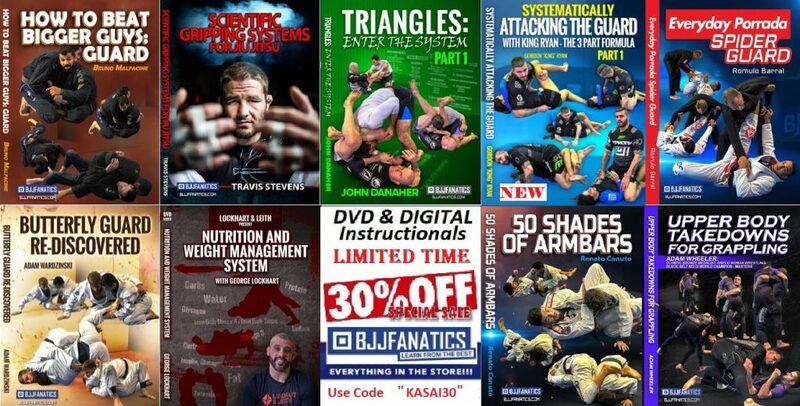 Apart from a bunch of amazing events and upsets, including the emergence of Quintet, it’s been a record year in the amount of BJJ DVD instructionals as well. But, it is not just the number of DVD’s that’s astonishing. People like Craig Jones, Neil Melanson, and other top-tier grapplers are relentless at producing new material. However, it was one man that stole the show, no doubt about that. John Danaher and his leg lock DVD took the world of Jiu-Jitsu by storm. But he didn’t stop there! He went on and has just released a brand new instructional. 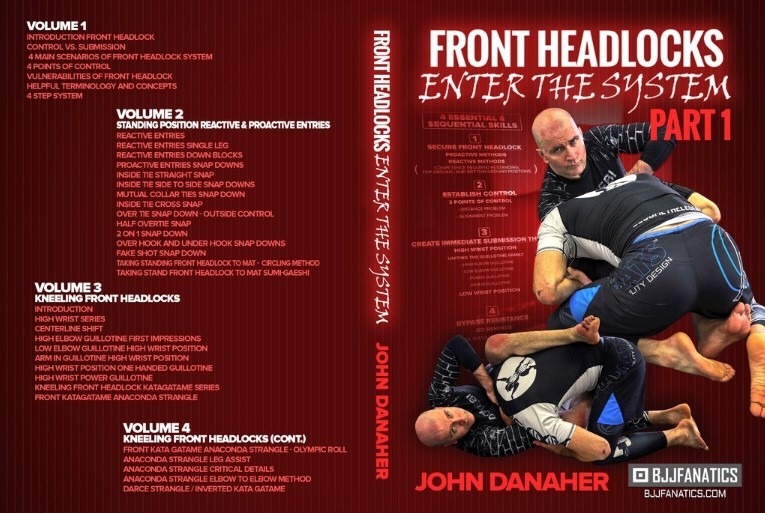 it is time to see what the John Danaher DVD – Front Headlocks: Enter The System” has to offer! I have to admit that I, personally, find John Danaher’s work amazing. It might have a lot to do with the fact that I’m biased, I know. Leglocks, the back and now front headlocks. My three favorite positions that make up most of my game. 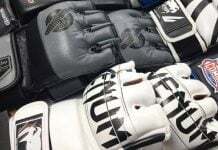 And there’s now material on them from the world’s greatest grappling coach. If the two previous releases are anything to go by, this last one should be a treat. That’s how I approached the front headlocks John Danaher DVD. Unsurprisingly, that’s also what I got. 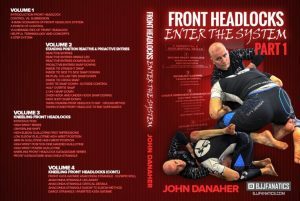 In a case, you didn’t know the new John Danaher DVD Instructional is out, by the title of Front Headlocks Enter the System. The list of techniques is really impressive as you can see just by reading it. To be honest, I barely managed to get through the material, so that I can offer a solid review. Yes, there’s that much material. Once again, you’re in for about 10 hours of premium quality material, spread over 8 DVD volumes. Did we expect such a top-class DVD? No doubt. Eve the few videos that announced it was pure genius. But this John Danaher DVD goes above and beyond. I’d argue that John has finally come up with his masterpiece. And it is not about leg locks! If you’re interested in buying Danaher’s DVD Front HeadLocks Enter The System you can find it HERE. Before I get really into this John Danaher DVD, I want to get something out of the way first. Those issues that plagued the first leglocks DVD are obviously a thing of the past. I know we all have a dose of suspicion every time a new Danaher DVD comes out. After all waiting for something for so long, and getting it mauled is what nobody wants. Well, it seems Danaher found his production crew, and they can do one hell of a job! So every technical aspect of this release that you may or may not think of is nothing but perfect. Next up the subject of this DVD. The front headlock as a position is one that is really common to grappling. For some inexplicable reason though, most of us do not recognize it as much as other positions. We pay a lot of attention to positions that bring points, like the mount and back. However, people often bypass one of grappling’s fundamental position. Over the years, as the front headlock traveled from one grappling martial art to another, ti got changed and improved. Today, in BJJ, we have a few front headlocks to work from, instead of just the one. What front headlocks have to offer is variety and control. If they were a point position, everyone would be trying to get there. the front headlock offers virtually everything you’d want from a Jiu-Jitsu technique. it works as a takedown, it works as a control position, it offers submissions. Front headlocks work from the bottom, from the top, from scrambles… You name it, and there’s a front headlock to deal with it. Now, there’s a John Danaher DVD available to completely lift the veil of mystery off this position and all its variations! As we are all accustomed by now, this DVD starts off with an introduction to the position itself. Since I started dabbling with the headlock a few years ago I started claiming that it is a position of immense control. Well, it turns out I was right. It also turns out I knew nothing. What you’re going to see from this John Danaher DVD is control like you’ve never seen it before. There’s a cure for any obvious problem you might encounter. The whole introductory DVD is organized in groups of four concepts. Theera rea four main scenarios, four points of control and a 4 step system. This makes everything understandable and very easy to remember. Plus it makes it easy to apply in rolling because you won’t have to think about million things. What I found most helpful about this first volume was the part about the vulnerabilities of front headlocks. 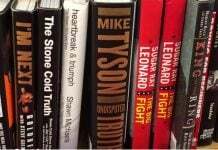 As someone who looks for them a lot, I knew of a few of the things Danaher mentioned. What I didn’t know was how it easy it is to counter each and every one of those. It takes a coach of Danaher’s level to point out the easy solutions to complex problems, rather than complicated ones. As I said, the front headlock is a position that works both from the feet and on the ground. On the subject of standing, the DVD starts with entries. There is a concept on standing her that Danaher explains which is a game changer. The theory of proactive and reactive entries is going to make you reconsider many things in Jui-Jitsu. It is also going to open new doors for your standing attacks. More technically speaking, there are a bunch of positions in this volume. Just like with any other John Danaher DVD, there’s no stone unturned. the single leg, the snap-down, overtie, overhook, two-on-one… Every position you might get into from standing is right there and covered in extensive detail. The way this volume wraps up is also perfect – two ways of getting to the ground while still in a front headlock position. This is the main focus of the Front Headlocks John Danaher DVD. The subject of working from a kneeling position stretches out over three volumes of the instructional. Since it is such a huge subject, it merits an introduction on its own. As Danaher says, “this is a position you’ll find yourself in very often”. Which is exactly why you need to know what to do and when. To give you a bit of a perspective, the centerline shift video you can see above is part of the introduction to this volume. Going further, Danaher jumps into the first guillotine setups. Which guillotine you might wonder? 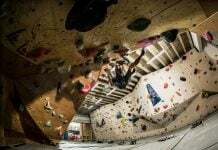 Well apart from the two “usual” variations, high elbow and arm-in, there are no less than 4 other variations that are as crazy as you might expect! From guillotine,s Danaher heads straight into the Katagatame series. Anaconda chokes get a complete DVD of their own, along with the D’arce choke and a ton of crucial details! And this is al before we even get to my favorite part – the cradle series. For the past year or so, cradles have become a position I’m exploring. That’s going to get a huge boost, given what I just saw. There’s also a headblock series that compliments the cradles. To give you a completely rounded front headlocks game off your knees. Getting guillotines from the bottom is pretty much the only aspect of front headlocks Jiu-Jitsu used to focus upon. The fifth and sixth volumes of this John Danaher DVD exactly how much variety there is from the bottom. he also demonstrates the best guard to use when hunting headlocks from the mats. 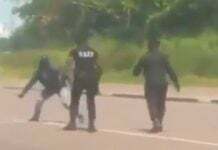 Contrary to p[opular belief, it is the seated guard and not the closed guard. The focus of this volume is on the snap-down as the best way to get to the headlock when you’re lower than your opponent. A few snaps down variations and a ton of details preceded a couple of great guillotine options off your back. There’s also a whole volume dedicated completely on how the hip heist works. Why do you need the hip heist? 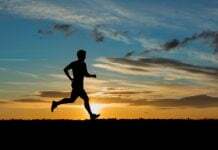 Well, this simple movement is going to open up plenty of opportunities for you. First. it is going to help you protect your starting position on the ground. Next, it offers entries into a bunch of front headlocks as well as re-countering your opponent’s counters. A simple and easy solution to a long-standing problem. Finally, it is time to wrap up. And Danaher does so in style. The final volume is all about passing the guard. And headlocks, of course, Oh, and submissions, lots of them. Before entering his system, though he goes over the conventional guillotine setup against the guard. What follows suit is a whole myriad of options of passing guards right into front headlocks? I especially enjoyed his take on the inverted North-South position which is something I’m just discovering. Apart from that, there are 4 half guard passes that are going to ensure you pass and get a headlock. After all, we’ve all passed the half guard with a headlock of some kind a few times in our grappling lives. And the best is left for last. the final topic of this john Danaher DVD is a principle. But it is such an important principle for anyone dabbling in front headlocks that it brings this DVD to the strongest finish possible! What happens with every single Danaher’s Instructional is simple. They change your life. and your perspective of Jiu-Jitsu. 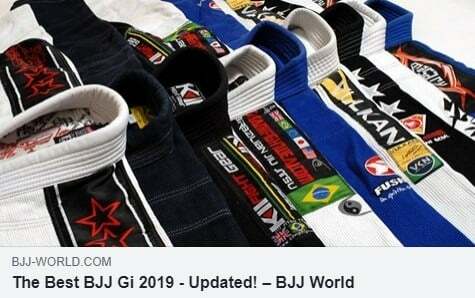 But not only superficially, Prepare for tectonic changes in the way you think about BJJ. We could see in EBI tournaments that his students were simply invincible under submission only rules. Just like Gordon Ryan said numerous times, “it’s all because of John Danaher and his unlimited knowledge of Jiu-Jitsu”. Speaking of which, Gordon is a great example of ho Danaher’s front headlocks system works in competition. The front headlock is a position where you’ll find yourself in almost every match and in every single sparring. It’s unavoidable, regardless if you’re on top or bottom. So, getting the best out of that position could easily be a match-turning point. 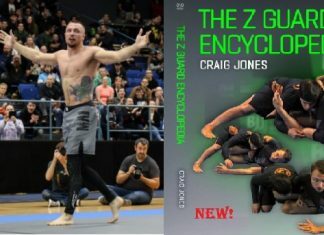 Which is where this John Danaher DVD comes in. What’s even more important that Danaher’s principles of front headlocks and all assorted positions and variations easily work in both GI and No-Gi grappling. Differences between those two are minor when you find yourself in situations where you have to react fast and smart. Danaher is going to teach you how to calm down and control every little aspect of the front headlock. This DVD is really a masterpiece that every serious grappler deserves to have. His Front Headlocks: Enter The System DVD / Digital instructional is probably just another day in the office for him. However, for the grappling world, it is one of the three most valuable pieces of digital content in existence today. If you ask most people in the grappling world who the top coach of all times is, you’ll most likely get just one answer. John Danaher. In the history of BJJ, there was no coach with such a deep understanding of techniques as well as ways of explaining them. If you watch any John Danaher DVD instructional and listen to him teach, you’ll understand absolutely everything. And that is an art in itself! he teaches not only techniques but overall concepts and principles. What you get from John is not only information of Front headlocks. 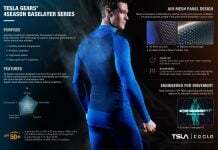 Instead, you get a blueprint for BJJ, one explaining it’s most fundamental principles. Danaher helped a few UFC fighters to get their UFC world titles. Names like Georges St. Pierre and Chris Weidman are a couple that proves how effective Danaher’s teaching methodology really is. His students like Garry Tonon, Gordon Ryan, Eddie Cummings, and others are true grappling icons. They all managed to win all kinds of top-level championships in a very short amount of time. 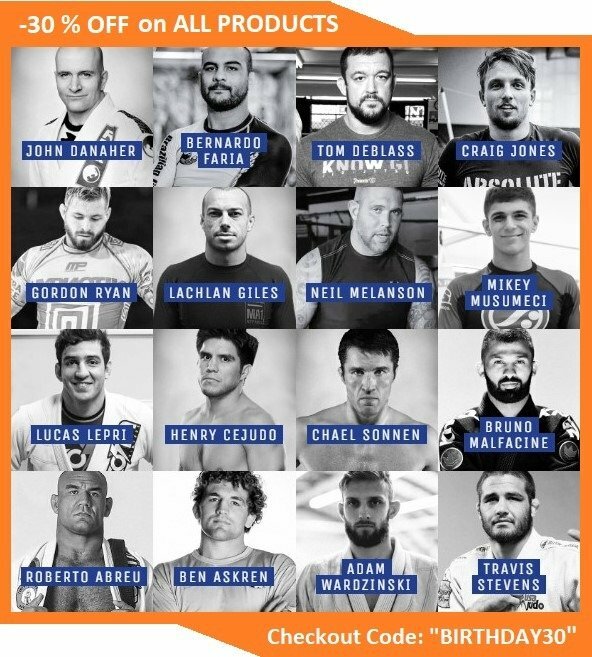 With only a few years of training, some of them even managed to become ADCC champions on top of everything else. Previous articleStalling In a BJJ Match – Legitimate Strategy Or Cheating?